The Full 5 Session course is now full. 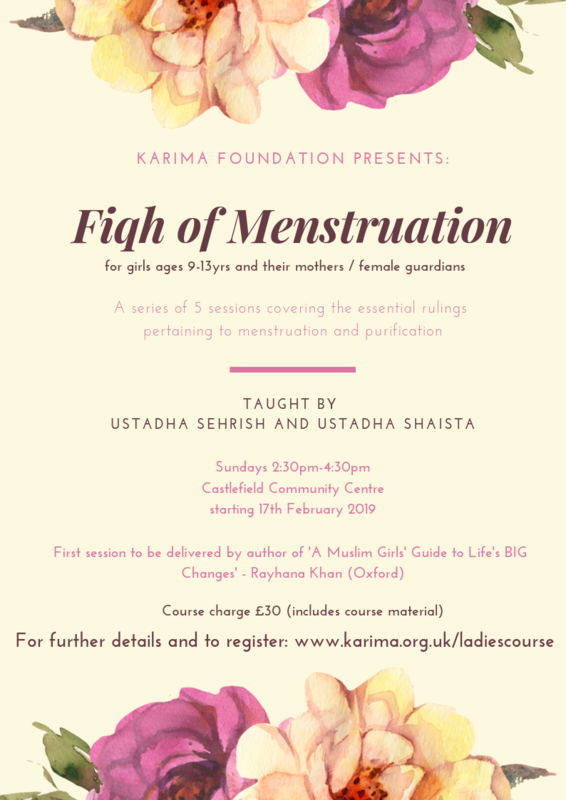 This is the first session in a series of sessions equipping our daughters and their mothers with essential Islamic knowledge relating to puberty, menstruation, irregular bleeding, post-natal bleeding, ghusl and cleanliness. The first session will be for girls, aged 9-13 years ONLY (without their mother/guardian). The girls will receive a signed copy of Rayhana’s book insha’Allah. Sign up to these invaluable sessions to gain knowledge and clarity and have your questions answered! Please register HERE and use the paypal link below to make payment - deadline for registrations - 31st January 2019.